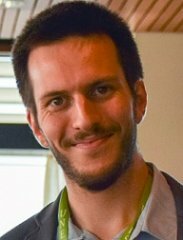 Jean Hautier joined UNESCO-UNEVOC in October 2014 as Programme Assistant. Jean works within the UNEVOC Network Secretariat. Some of his responsabilities include the coordination of the Regional UNEVOC TVET Leadership Programmes as well as of the applications to the UNEVOC Network. He is also one of the Regional Focal Points for the UNEVOC Network in Africa. Previously, he worked on UNESCO-UNEVOC online services (TVETipedia, Promising Practices Database...) and Knowledge Management activities. Jean studied at the University of Toulouse (Sciences Po) and the University of Bonn (Politics and Society/Politik und Gesellschaft). He holds a Master Degree in Political Sciences/Public Policy Evaluation.